Almost two years ago we hatched a duck egg that was abandoned on my parent’s dock at the lake house. Loving and raising that duckling was one of the greatest adventures we ever had. A lot of people followed along as we dressed Wobble in a diaper and let him run all over the house, discovered “he” was actually a “she”, took her to the lake for weekend swimming lessons, and eventually released her on a friend’s property. We’ve since moved away and aren’t able to visit Wobble, but still occasionally receive updates on her. 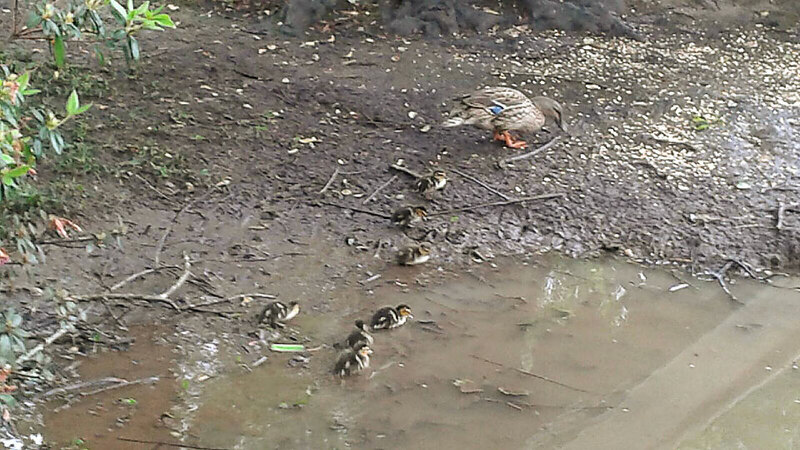 She integrated very well into being a wild duck and even hatched out a brood all her own this Spring. I think this is about as happy as any ending can get.